I hope this release contains recording details in the tradition of the old Rhino releases. Indeed it does. We went to some trouble to fit the information (specific composers, arrangers, orchestrators and recording dates for each cue) into the FSM format. Hope you like it! I'm in absolut awe and wonderfully astonished at this news. I can only echo all the positive feedback from above! BRAVO to all concerned!!! I hope this is successful and will allow the few musicals left undone by Rhino like ROSE MARIE, TILL THE CLOUDS ROLL BY, LES GIRLS et. al. What a treasure trove of musical delights awaits! There are only few of us left, it seems, who love this kind of thing. I can't thank you enough! I'm glad to hear that. This was a very valuable part of the Rhino sets (I think some of the old Warner LDs even included matrix numbers). While this kind of information may not be as important for orchestral scores or current pop due to the different recording process (scoring sessions having slot numbers, intercuts and overdubs being recorded on different dates), it should be a vital part of any jazz/traditional pop/etc. release - particularly if you go back to the 78 rpm era. It's quite a surprise how many CD discographies are wrong - listing alternate takes when the release date has been used (and vice versa). Many thanks for the effort that has been put into this release! This is worth the price alone. Very poor and sometimes inaccurate details on Download. .....I hope this release contains recording details in the tradition of the old Rhino releases. Thanks so much for working on this aspect of the release, Frank. These pieces of information---boring to some---make the recordings come alive for others who are fascinated with the musical history of the studios. Rhino was always very good about this, and Lukas has also been very good at documenting the recording dates of the scores he releases, in their booklets. The Fox scores have also been documented to an extent in this regard, though often with somewhat less detail. Sadly, all of this published documentation on the various releases is likely the last time we'll see it appear publicly in print. What I wouldn't give for a simple published book documenting, in one place, ALL the music recording logs for MGM and Fox (as a start)---titles, films, recording dates, take numbers, overdubs, locations, vocal and orchestral artists, arrangers, orchestrators, conductors, composers---covering the years, at least, from 1928-1968 or thereabouts!!! In effect, a recording discography of material that was NEVER on disc. Would anyone else---as a private individual---buy something like this? The Bear Family box sets, while wonderful, basically only detail masters, disc and tape, for commercial recordings released on 78, 45, or 33. I am speaking of informational material on recordings which were never intended to be released commercially by the studios. In any case, while I would care, personally, about the loss of actual recordings, for a book like this I am not primarily interested in whether the material still exists or not. In such a proposed book, the information is the history, not the recordings. I also think that, at least for (old) MGM and Fox, they've done a pretty damned good job of preserving what they could over the years---and if material is lost, for whatever reason, so be it. We shouldn't knock the old managements quite so much. Everyone needs to be very grateful for this never-before-released material that we are now getting on a fairly regular basis so long after it was originally created---and THANK YOUR LUCKY STARS!..... (which, by the way, might make a wonderful musical release, too! ). Love this CD, but not sure why it's being called the "premiere CD release." Definitely has some new material, but Sony Music had a CD release (AK 47701) back in 1991. Either way, it's a great release, and definitely worth hearing! It would have been more correct to say that the FSM CD represents the premiere CD release of the film's original pre-recordings, since the Sony CD was taken from the film's mixed tracks. The FSM CD adds 21 minutes of music to the 40-minute Sony CD. Great release Lukas...I tip my stovepipe hat to you! I got one question. I have the old MGM Records album and its rendition of the opening cue "When I'm Out with the Belle of New York" is somewhat different. It uses a vigorous percussive accompaniment and a second chorus stanza is repeated. This is not found in the film or on this recording. Was this a special cue just made up for the record album? Any ideas? Apparently, the man-in-charge would select takes from the various MGM sessions for a given film for which a soundtrack was to be made, and then he would work with a sound editor and, if a given track was too long to fit on one side of a 10" 78rpm disc (which is the way most of the original albums were born), he would edit, or otherwise rearrange the music to fit that length (which was usually in the +/- 2 1/2 minute range). Sometimes the entire take could be used, sometimes sections of a take would be pasted together, sometimes sections of music from totally different parts of the film would be assembled to make a pleasing whole. Since he was doing this independently of the film's editing, it was sometimes possible that he used takes or alternate pieces which were finally NOT in the released film. For that reason, for example, the "Merry Widow Waltz" musical sequence on the MERRY WIDOW disc is made up not only from musical material from that sequence late in the film, but also integrates virtually all of the "Main Title" material as well, which is another version of the Waltz. As an old-timer, it was always fun for me to try to figure out how this stuff was put together for the album after I'd seen the film originally. For years, when I listened to the original soundtrack album for EASTER PARADE, I wondered where that strange orchestral ending came from which cuts in to the end of Garland-Lawford's "Fella With An Umbrella" cue. It isn't in EASTER PARADE anywhere. Then years later I was watching TAKE ME OUT TO THE BALL GAME, and heard it at the end of Sinatra's "You're The Right Girl For Me." EASTER PARADE is 1948, and BALL GAME is 1949, so both these music sessions were undoubtedly in the same hopper at the time the EASTER PARADE album was put together. You should also remember that in regards to the orchestration and what you are HEARING of the orchestra, the original material was recorded in 3-channel stereo, and the final mix for the film (in mono) might be very different than the final mix of the album (also in mono)---although they both used the same master elements at one point. Pertinent to all of this, I once had a discussion about sound with Stephen Pickering, who used to post here quite often. My question was: If the final mix of the MONO film were done originally from 3-track music masters, and if the MONO music-fx track or the MONO dub-down music track still existed---is it possible that each of these had DIFFERENT sounding mixes from the same original 3-track elements? Would it be of interest, for example, if in one mix the violins might have been more prominent, in another the percussion or brass, or whatever---even from the same originating element. If so, then, since the same original element was used as the basis for each, would it be possible to sync up the mono music session element of a given take with the film's final mix (or, ideally the music-fx track), and create, a rudimentary stereo track---since all the instruments would be there, but in different featured volumes. Stephen Pickering said no. I still wasn't convinced. Perhaps George Feltenstein was reading this board, or perhaps he arrived at this discovery independently, but at a later point he made a comment in print about how he had realized that the sound on one of the album cuts he was listening to (in his car?) differed from the sound on the music session master although the same take was used. He had his editor sync them up and, indeed, he created a stereo picture (only, of course, because they had originally been mixed from the same multi-channel session element). The result of George's labor was that we finally had, as an audio extra, on one or another of the Rhino compilations, a stereo version of the "Dancing in the Dark" number from THE BAND WAGON. We also had the "Main Title" of SUMMER HOLIDAY in stereo. This last is an obvious thing because Leo roars in his proper place on the trademark on one channel and there is just music on the other. This means that the element used for one channel HAD to be the final mixed film track or music-fx track and the other channel a music session track. I'm sure there are other examples of this in the Turner/MGM/Rhino repertoire, though I can't remember them at this minute. In many ways this is a interesting musical application of a new idea to material from another age, giving it a new life. Sorry, for the long-winded non-absolute answer to your question, Anacleto. Whoops, we were typing long answers simultaneously, manderley. Here's my own attempt to address the same issue . . . 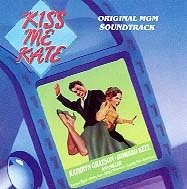 I think it's safe to say that many early movie musicals' "soundtrack albums" will vary a great deal from the versions of the songs heard in the films themselves, because they were often NOT taken from the actual film soundtrack, but were instead rerecordings, perhaps by a different orchestra altogether, done strictly for the album release. Originally an "album" was the literal meaning of the word -- before LPs, you would buy an album of 78rpm records in sleeves bound in a book. Beginning in 1950, M-G-M began issuing (and reissuing) albums in several new formats, including the 45-rpm, 4 disc boxed set, the EP set, and the 10-inch LP. It may be that the original re-recordings were done for a practical reason, such as comfortably fitting the musical number on one side of a 78, or making it more palatable for those listening without the accompanying picture. When the reissues were released, it would sometimes be a straight transfer of those 78 discs to one LP. The movie musical albums that were re-recordings, strictly for vinyl release, are an interesting topic in themselves, and may actually get "lost in the shuffle" of these exciting CD releases of the original film session recordings. We may have to rely on European labels like Sepia to eventually get around to preserving such things for the digital age. .....Whoops, we were typing long answers simultaneously, manderley. It's important to remember that MGM, of all the recording companies, was very specific in labelling its recordings, usually something like "Recorded Directly from the Film Soundtrack." Others bearing the "Including Music Recorded Directly from the Sound Track," appellation are several I mentioned in my other post, PAGAN LOVE SONG and SHOW BOAT, primarily because of the replacement of the dubbers for the stars who had also recorded the numbers at the pre-recording sessions. The Walter Gross TORCH SONG album falls into that other re-recording category you mentioned. What you didn't mention is that the album is actually something like "India Adams sings songs from TORCH SONG accompanied by Walter Gross." (In the film, of course, the India Adams/Cyd Charisse "Two-Faced Woman" number is featured as performed on camera by Crawford. The remainder of the soundtrack of that film is kind of a potpourri with Adams performing some material, and a bit of the actual Crawford.) The TORCH SONG album is much like the 45-rpm set from THE LAST TIME I SAW PARIS, featuring French-chanteuse Odette singing the songs, in French, from the film. Odette also sang these as source music IN the film, and I've never ascertained whether the album is the actual session tracks or not. In any case, they don't refer to the soundtrack, only "featured in the film" as I recall. The two songs by Howard Keel on a 78rpm MGM single from TEXAS CARNIVAL are not soundtracks as I recall, but I believe they ARE recorded with the MGM Orchestra (under George Stoll?). The 3 MGM records cuts from TAKE ME OUT TO THE BALL GAME with Kelly and Garrett are not soundtracks, probably because of the Sinatra rights problem. The 3 Grayson 78rpm MGM cuts from ANCHORS AWEIGH and the 2 Grayson cuts from THE KISSING BANDIT all seem to be original soundtrack music sessions. We can, of course, go on and on about all this. The real irony in ALL of this is that with extremely rare exceptions---most of them not MGM--- NONE of the music in ANY of these so-called "soundtrack" albums actually comes from the original soundtrack!!! The "original soundtrack" is that little strip of sound information on the side of the film which has already been mixed with dialog and sound effects and music and is played back in the theatre. The music on a "soundtrack" album actually comes from the session masters, pre-soundtrack. 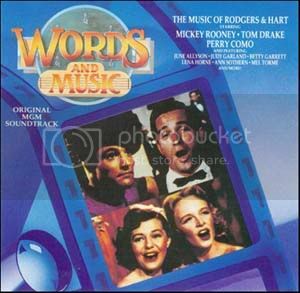 Then perhaps the only actual MGM-musical straight-off-the-film "soundtrack" CDs are those fast & cheap better-than-nothing Sony Special Products ones from the '90s.
. . . although they do also have the occasional bonus track(s), which must have come from the session masters. I've gotten too many blank stares from laypersons ever to use the term "original cast album" anymore. Or . . . "showtunes"? He is the Musical Director (and background music composer) of record on RICH, YOUNG AND PRETTY. So, the re-recorded cuts with Jane Powell for the album (to dump Damone) were most likely done by Powell and Rose at MGM with the MGM Studio Orchestra, either during the original sessions (where they knew this rights situation would turn up) or later, when the album was being prepared. Thus, the co-work of Powell and Rose doesn't come out of left field. I don't believe that MGM Records, since they were solely owned by MGM Studios, ever had an outside recording stage for their serious orchestral and vocal material. Why would they when an orchestra and a perfectly good recording stage was already set up? I'll bet there was some legal difficulty in crediting an "MGM Studio Orchestra" on non-film related recordings, however, so the orchestra may remain anonymous. I understand a little better now. MGM had a unique situation -- the in-house record company -- and most of their rerecording examples had to do with individual peformers' contractual conflicts or vocal dubbing issues. You really have to go earlier to find a lot of rerecording by MGM stars at outside companies, like all the movie songs Judy Garland sang for Decca. --Or to other studios, I guess. I've got the Varese CD of Danny Kaye's rerecorded songs from "Hans Christian Andersen" and "The Court Jester," for instance. While we're getting so obsessive compulsive, by the way, I wonder if we can get some kind of confirmation from Lukas that "The Belle of New York" is indeed that long-awaited "classic M-G-M musical," mentioned in threads like this one from . . . GASP . . . 2008?! Did this CD really take that long? The reasons why might make a good article for FSM online. .....While we're getting so obsessive compulsive, by the way, I wonder if we can get some kind of confirmation from Lukas that "The Belle of New York" is indeed that long-awaited "classic M-G-M musical," mentioned in threads like this one from . . . GASP . . . 2008?! Yes, Sigerson, I've been thinking about this, too. We all worked so hard on that thread trying to guess it, and I don't think this title EVER came up. 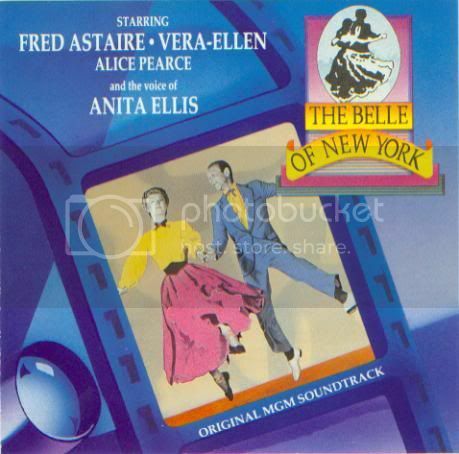 Still, THE BELLE OF NEW YORK, is, indeed, a "classic MGM musical," in the historical sense. I just hope Lukas has been working on OTHER "classic MGM musicals" in the three intervening years and that he has a number of them on the assembly line for upcoming scattered releases. Manderley and gang, good guess about Jesse Kaye, but not true in this case. For any MGM musical done by Arthur Freed, Arthur had his own music editor make up the album. Her name was Lela Simone, a music editing genius. She was also Mrs. Franz Waxman !!! ... and for those who are interested, Lela Simone was also an incredible pianist - as you can hear in this month's FSMO article on the "Ice Follies of 1939."